Everyone deserves to smile with confidence. Chipped, stained, or awkwardly shaped teeth can sabotage your smile’s beauty and reduce self-esteem, however. Fortunately, you can improve your appearance and your life with modern aesthetic dentistry! At Chaska Dental Center, Dr. Meschke and Dr. Swingdorf create beautiful, natural-looking smiles every day. We use modern treatments and the latest technology to provide a safe, comfortable, and positive experience. We provide premium cosmetic dentistry services, including one-visit bonding, porcelain veneers, gum lifts, and teeth whitening. Many procedures require only a single office visit to complete. 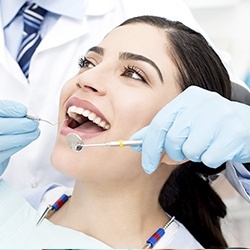 For teeth in need of special care, our cosmetic dentists can perform complete smile makeovers. We’ll work with you to select treatments that suit your needs, budget, and lifestyle to deliver amazing results! Porcelain veneers are one of the most popular cosmetic treatments in the entire world, and the reason for that is simple: they’re able to fix and eliminate a variety of smile imperfections with just one simple procedure. With them, our team can quickly remove stains, close gaps, fix chips and cracks and even straighten slightly rotated teeth. Porcelain veneers provide a more permanent solution. In either case, a beautiful smile is always the result! For years, the only option for restoring a tooth following decay was with an amalgam, or silver, filling. This dark restoration was unsightly, damaged the natural tooth enamel, and put the patient at risk for mercury exposure. Because of this, Chaska Dental Center has been using a metal-free solution since 1997. We are pleased to be the amalgam-free dentist Chaska counts on for healthier dental restorations with tooth-colored fillings. Have a small chip, crack, or gap in your smile that really draws your attention? We can quickly take care of minor imperfections like this using something called cosmetic bonding. Your dentist will apply composite resin to your tooth and use it to artfully sculpt your tooth to perfection. The treatment itself delivers fantastic results in less than an hour, requires little to no local anesthesia, and is one of the most affordable cosmetic treatments available today. What is the first thing people notice about your smile? Actually, what is the first thing you notice about your smile? Does it appear yellow, dull, or discolored? Does something just seem to be lacking? If you’re like most people, the color immediately jumps out at you. Think about how many times you’ve met someone new, and even though you instantly forgot their name, you still managed to remember how nice (or not) their smile was. What kind of impression does your smile leave? If you’re looking to instantly win people over and boost your confidence, then you’re probably a perfect candidate for teeth whitening in Chaska. Do you have an uneven gum line that makes you hesitant to smile? Do you feel like your teeth are hidden by too much gum tissue? If so, then our team can quickly give you that perfectly proportioned look using a soft tissue laser. The laser’s highly-concentrated beam of light can quickly eliminate excess gum tissue to reveal previously hidden dental anatomy underneath, and then your dentist can shape your gum line along your teeth to finish up, all over the course of a single appointment. Think it’s too late for you to have a healthy, beautiful smile that always fills you with confidence? If so, the team at Chaska Dental Center is here to happily tell you that you are wrong! Using a Smile Makeover, our team can help you design your dream smile and then give it to you over the course of multiple appointments. 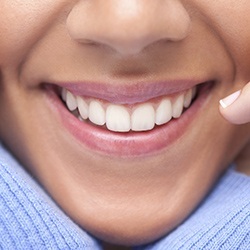 Whether you have stains, decayed teeth, missing teeth, or all of the above and more, a Smile Makeover can correct any flaw and make your teeth truly dazzling. 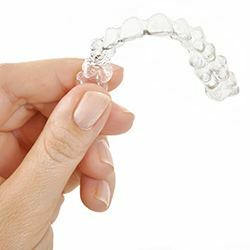 Invisalign is a revolutionary orthodontic system that uses a series of clear plastic aligner trays to straighten the teeth as opposed to bulky, noticeable metal brackets and wires. They are practically invisible on the teeth, meaning you can get the straighter smile you’ve always wanted without having to sacrifice your daily appearance. 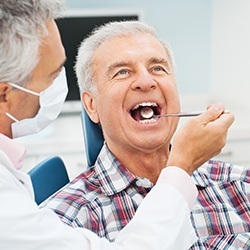 Plus, you can easily take the trays off whenever you need to eat or brush your teeth, giving you a treatment that fits seamlessly into your life.